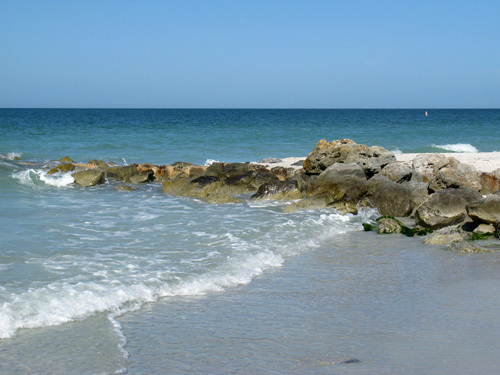 Middle Jetty on Sunset Beach, Treasure Island FL is a small, almost inconspicuous jetty just north of Blind Pass. 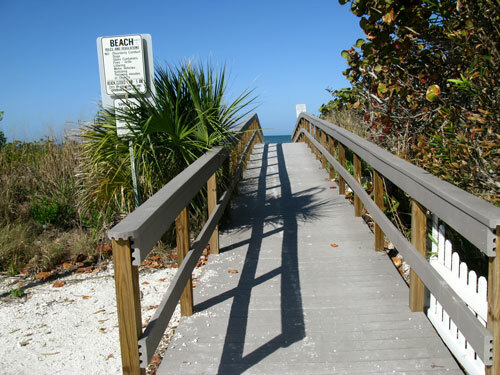 It was built to protect against beach erosion as the shoreline dips eastward about 75 yards, before it swings out again as you go south toward Blind Pass, or north toward Treasure Island Beach. 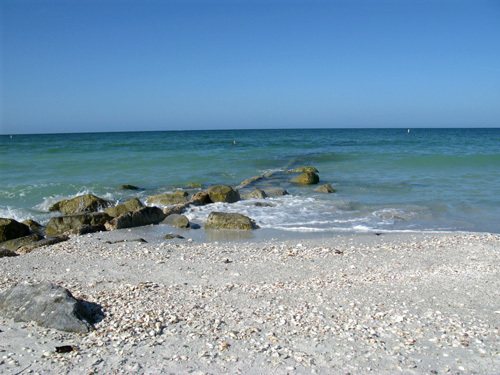 Mainly, three activities happen here: Guys fish for snook...tourists look for shells...and surfers show up during tropical storms out in the Gulf since the waves increase in height. In all the time I've been here, I never heard about it until a surfer friend of mine mentioned it in passing. Leave it to the locals. I always thought this area was called Pavilion Beach. (It is, my buddy informed me, but guys use the jetty name interchangeably.) Go figure. 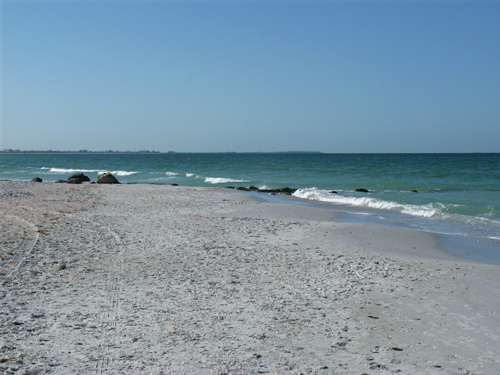 Coming south from County Park Beach (soon to be Treasure Island City Beach in 2010), just walk south toward Blind Pass Jetty and you'll spot it. 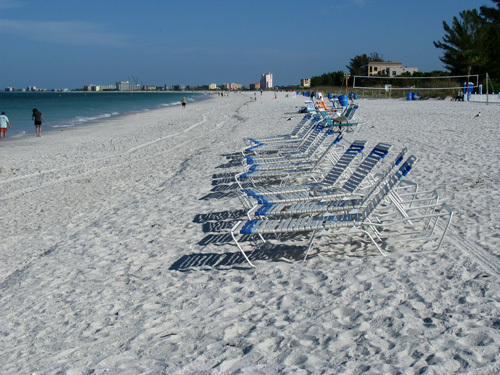 You'll come first to Caddy's Beach, named after the notorious Spring Break bar that is at the head of Sunset Beach. keep walking south about a half mile. If you are walking north from Blind Pass, it's about a quarter of a mile. Trust me, you'll find it easily. 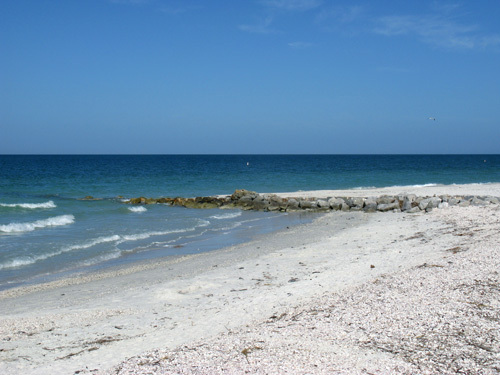 If you are driving on Gulf Blvd., take the west fork into the little beach community of Sunset Beach and go down to the parking lot of Treasure Island Pavilion, just south of 80th Avenue. 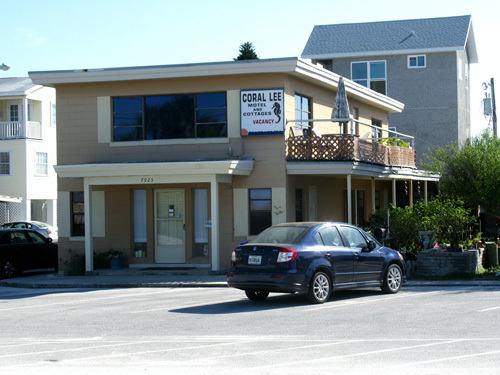 The Coral Lee motel is right across the street on the east side. Just take the dune walkover down to the Gulf and it'll be on your right. 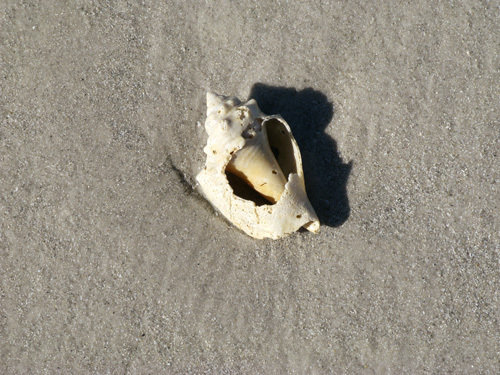 You can find interesting shells here. 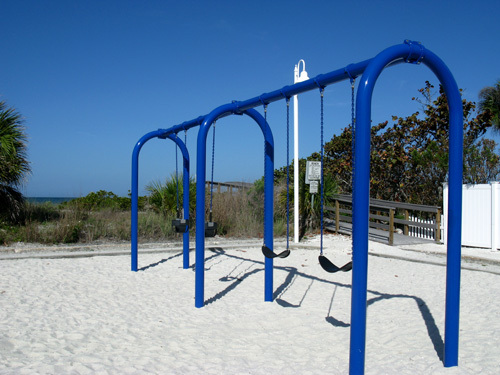 If you have youngsters with you, the Pavilion has a small playground and picnic tables. 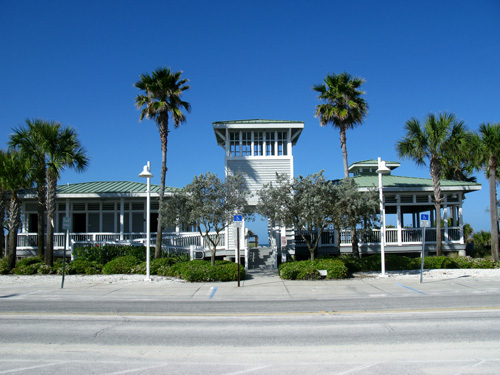 The Middle Jetty on Sunset Beach is a great place to visit as part of your cheap Florida beach vacation.